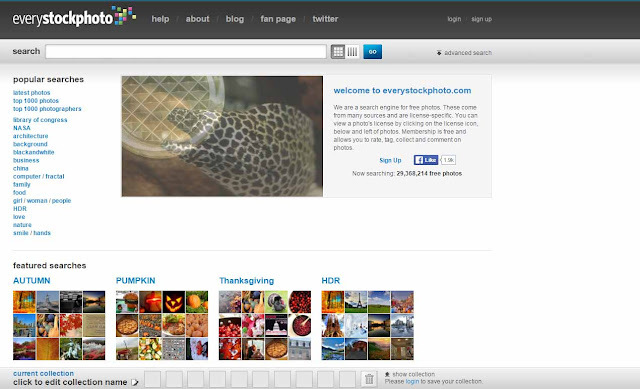 Everystockphoto is an image search engine from Vibrant Software. 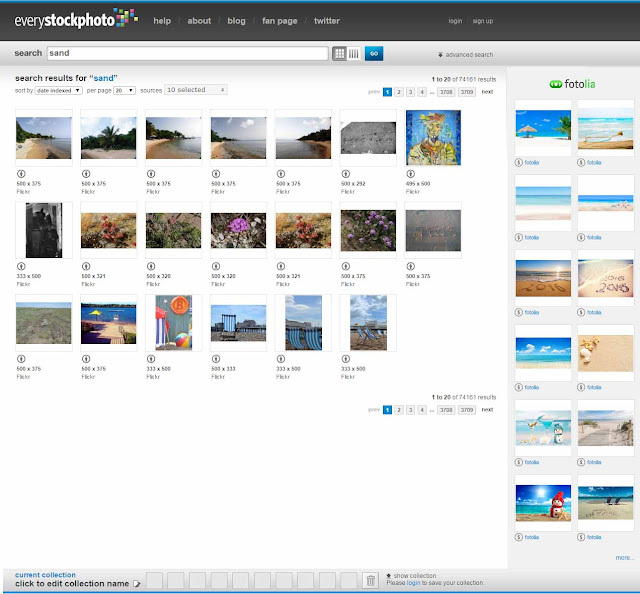 It started in 2006 and collects freely available images. Sources are Flickr, stock.xchng, Freerange Stock Archives, NASA and others. On the results page you will find the size and information about the license next to the photos. If you click on an image, you will get further information like the photographer or tags.